I’ll be honest, I wasn’t a big fan of the the original Samsung Galaxy S. Its Google-sanctioned variant, the Nexus S, didn’t really excite me either. Despite being slim and light, they both felt cheap and plasticky to hold. This ended up making them feel more like toys than serious smartphones. However, with the Galaxy S II, I think the Korean electronics giant has won me over. This video is no in-depth look at the device, but it does accurately reflect my excitement as I first played with a device that takes the original S and hones it into something a little more refined. The textured rear is infinitely preferable to the smooth, shiny surface that helped trivialise the previous iteration. Specs-wise, we’re looking at HSPA+ 21Mbps/ HSUPA 5.76Mbps, Samsung Dual Core Application Processor and 8MP rear camera with auto-focus and LED flash plus another 2MP front-facing unit. 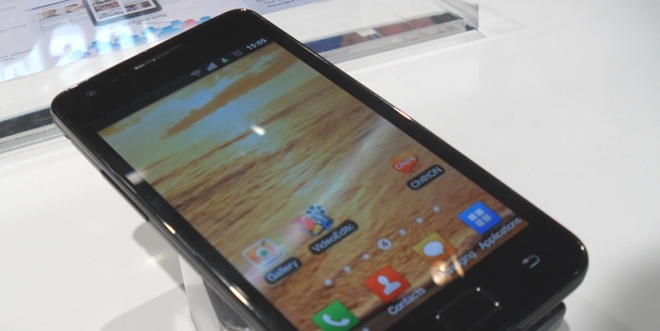 It runs Android OS 2.3 Gingerbread with Samsung’s Touchwiz UI layer, which isn’t half as intrusive as some other manufacturers’ ‘enhancements’. There’s sadly no release date for this little gem though.